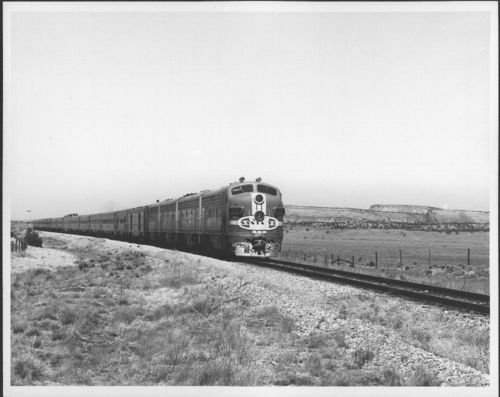 This black and white photograph shows the Atchison, Topeka & Santa Fe Railway Company's passenger train the 'Super Chief' pulled by engine No. 25 on a transcontinental journey. At the back of the train, a upper quadrant semaphore signal is visible.